Boost your Computer Science knowledge. Qualify for a Computer Science teacher training degree. Start your career with complete confidence. Before starting your PGCE you may be asked to take a SKE course if your training provider feels you have the right qualities to become a teacher, but need to acquire more subject knowledge first. If that’s the case, they'll offer you a conditional place on your PGCE upon completion of a SKE course. This Computer Science SKE course will update your skills so that you are prepared and fully confident to start training to become a Computer Science teacher. You’ll be taught via lectures, independent work, directed tasks, and written assignments. Your progress will be assessed with written work, exams and presentations. Throughout the course you'll have one-to-one support from staff. We've got thousands of books and e-books on pharmaceutical and biomedical science, with many more titles available through the inter-library loan service. We also subscribe to a comprehensive range of print and electronic journals so you can access the most reliable and up-to-date academic and industry articles. Embase: A complex database covering drug research, pharmacology, pharmaceutics, toxicology, clinical and experimental human medicine, health policy and management, public health, occupational health, environmental health, drug dependence and abuse, psychiatry, forensic medicine and biomedical engineering/instrumentation. PsycINF: Includes information about the psychological aspects of medicine, psychiatry, nursing, sociology, pharmacology and physiology. PubMed: Contains life science journals, online books and abstracts that cover fields such as medicine, nursing, dentistry, veterinary medicine and health care. Web of Science: Which covers a broad range of science areas. You'll be based at The David Goldman Informatics Centre, on the Sir Tom Cowie Campus at St Peter’s. 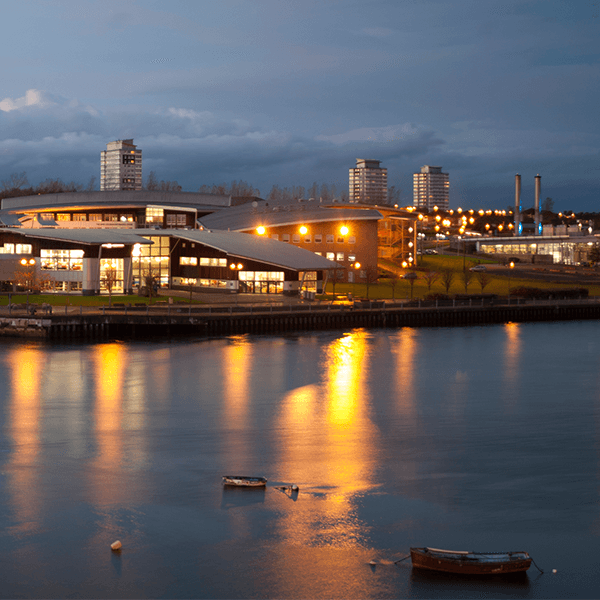 It’s a modern building with great views of the River Wear, and just a few minutes’ walk from the coast. We usually require applicants to already have an offer of a place on a course for initial teacher training. Their offer may be conditional on successful completion of this SKE course. We will ask about your previous knowledge and experience so that we can ensure that you study the right number of units. The minimum duration of the course is eight weeks and the maximum is 24 weeks. SKE courses are fully funded, so you won’t have to pay any tuition fees. You may also be eligible for a tax-free SKE training bursary of £200 per week to support you throughout the course. You could get a bursary of £5,600 for a 28-week course and £2,400 for a shorter course of 12 weeks. For more information, please visit Get into Teaching. The course is not available to international students. This course will enhance your knowledge of Computing and allow you to progress onto a PGCE Computer Science. Good teachers are always in high demand. The average starting salary for a teacher is £ 22,917 and experienced teachers can earn up to £59,857 outside London, and £67,305 in London. Head teachers can reach a salary of between £44,544 and £109,366.